I'll never pass up a chance to show someone a skeleton dwarf. Can you believe it's been nearly a year since Divinity: Original Sin 2 first graced us with its presence on PC? I certainly can't, but then again, I've had trouble keeping track of time ever since the "original" Original Sin came out back in 2014. Fortunately, I've found a nice chronological anchor to moor myself to, as Divinity: Original 2 Definitive Edition comes out on August 31st. First and foremost, the Definitive Edition brings the game from the home computer to PlayStation 4 and Xbox One, both of which offer offline co-op for two players and online co-op for up to four. PC players have plenty to rejoice too, though, because the Definitive Edition brings with it a host of free changes to those who already own the "Classic" edition. Before we get into all that, how about you take a look at some gameplay? We here at Co-Optimus have plenty of praise to heap onto both Divinity: Original Sin 2 and its predecessor, so news like this is just icing on the cake. 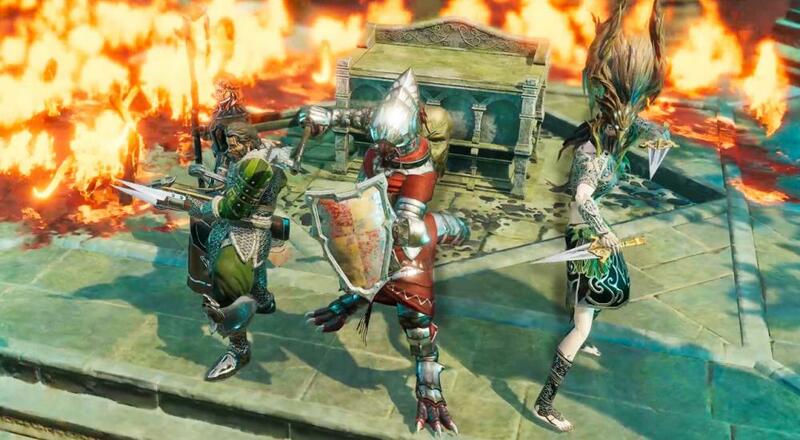 If you're exclusively a console gamer, or simply haven't taken the chance to explore Rivellon, August 31st marks a terrific opportunity to see what all the fuss is about. Page created in 0.4461 seconds.